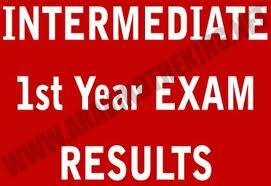 Inter First Year Results - Announced-2012 | GSV Films :: Film news, video songs, movies news telugu, tamil hot actress. Hyderabad: The wait is finally over for students across Andhra Pradesh who have been anxiously looking forward to their Inter First Year Results 2012. The Board of Intermediate Education of Andhra Pradesh (BIEAP) has today announced the results of the Intermediate First Year Examination 2012. Additionally, students can register themselves on www.ExamResults.net to receive their results on E-Mail! The Andhra Second Year Results 2012 are expected to be announced on April 24, 2012.